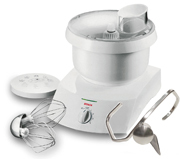 Bosch Mixer Parts - We stock all available parts! If you need us to repair your old Bosch Mixer give us a call. 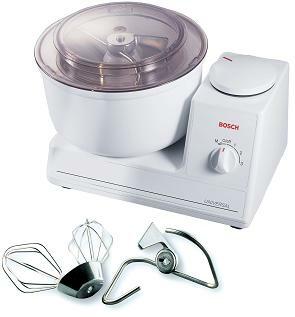 Click on the picture below that represents the type of Bosch Mixer That you own. Bosch Universal Mixers - Model numbers begin with UM3 or MUM6. Bosch Compact Mixers - Model numbers begin with MUM4. Bosch Concept Mixers - Model numbers begin with MUM7. Now discontinued, however, we still carry many attachments! If you would like a parts catalog we charge $ 0.65 for mail delivery. This will ship via USPS. No Shipping will be charged at checkout.